Life can be a miraculous adventure, especially for those it rewards with incredible opportunities. 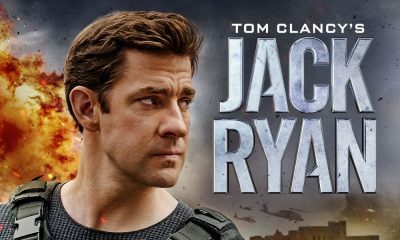 In the Amazon drama series JACK RYAN, John Hoogenakker portrays an ex-Special Forces turned Agency enforcer that escorts and protects Jack Ryan (John Krasinski) as he ventures into the field to stop a terrorist plot. It is a role that John slips into seamlessly and he makes it cheer-worthy and riveting with every scene that he is in. 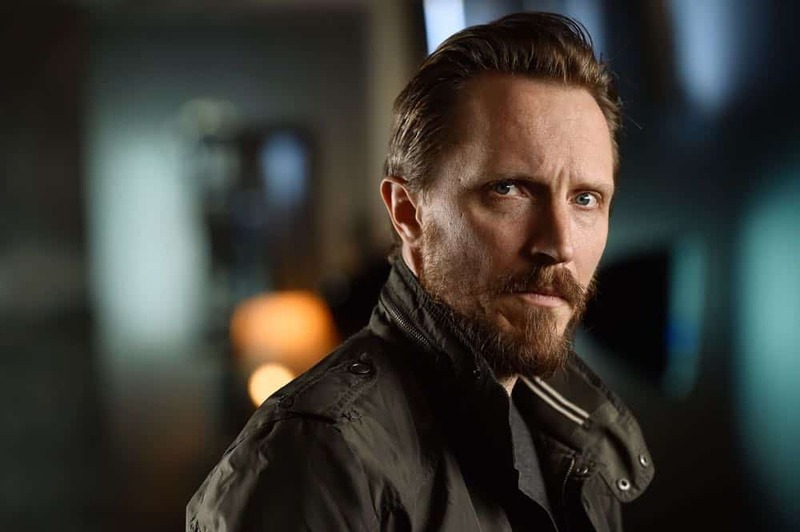 In an exclusive interview, John shares a bit about what made this character and series such a memorable experience for him. What was the initial appeal for you about portraying Matice and working on Amazon’s JACK RYAN? JOHN: The chance to join the iconic Tom Clancy franchise, while traveling the world and getting to work with fine actors like John Krasinski and Wendell Pierce! How would you describe who Matice is? JOHN: Matice is the guy you call when things are gonna get dirty. He’s spent his entire adult life in the Special Forces, and now he’s doing The Agency’s bidding and is ready to travel and handle dangerous people and situations at a moment’s notice. What do you most admire about Matice? 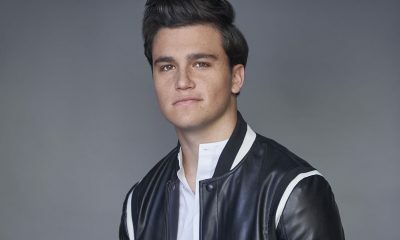 JOHN: For me, one of the coolest aspects of Matice is his ability to maintain his calm, as well as a sense of humor, when under pressure. What is it like working alongside such a talented ensemble on JACK RYAN? JOHN: A dream come true, in the truest sense. John and Wendell are wonderfully talented men, but also fantastic guys to hang out with during the long days and nights on set. It’s always been fun getting to work on this project. Another of my favorite folks from the production, and there were many, was Ali Suliman, who played Suleiman in the first season. One of the nicest humans you’d ever want to meet. Carlton [Cuse] and Graham [Roland] were unbelievably supportive and engaged throughout the experience, and they provided all of us with the best guidance imaginable, in the form of our Technical Advisors, headed by Kevin Kent. All of these guys were long time members of SEAL teams and were with us throughout the process to provide feedback and make sure our work was as authentic as possible. How would you describe the dynamic between Matice and Jack Ryan? JOHN: Matice doesn’t really get what this pencil pusher is doing out in the middle of a dangerous operation, at first, and is perhaps even a bit frustrated that he’s there, at all. However, Ryan quickly proves his worth when it counts, and gains Matice’s respect. After that they share an easy camaraderie. What has been some of your favorite scenes from the first season? JOHN: The broadness of its appeal, definitely. I’ve been contacted by all sorts of different people expressing their appreciation of the work we did on the first season. What has been the best part about the experience of working on JACK RYAN? JOHN: Getting to travel the world and work on such exciting subject matter at the same time. Once, while in Morocco, I had a few days off and took a trip out to the Western Sahara. 20 hours roundtrip. The last 60 km were off road with only GPS to guide us. I slept under the stars that night and drove all the way back the next day. It was one of the most wonderful experiences of my life; a gift, really, that I had because I was already in the country working on JACK RYAN. You also worked on the USA Network series COLONY in Season 3. What did you appreciate about that experience? 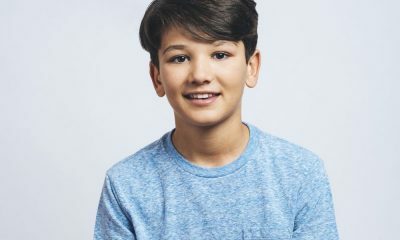 JOHN: There was so much to love about that experience, but if I had to boil it down to just a couple things I would say that getting to work on a show with such a cool and creative concept and doing it in Vancouver, one of the greatest cities on the planet, would be one thing, and the other would be the time I spent working with Peter Jacobson, who was my scene partner 95% of the time. He’s just such a fun and talented person to get to work with, and we had a blast! JOHN: Every opportunity is a gift, and patience and kindness are virtues that go a long way. There are tons of different pressures on a set, and so many things at stake, and it’s very good to remember that everyone is in it for the Love of the game and doing their best, and that it takes lots of people to get a project over the finish line. JOHN: Just the mere blessing that I’ve gotten to have it, and that I’ve been lucky enough to be part of an amazing family at the same time. JOHN: Last December I was on a job in New Zealand and I was able to bring my family along, which doesn’t always happen, and that was a wonderful experience. JOHN: Surviving the physical challenges of some of the roles I’ve played while doing work that I’m happy to get to share with others, and JACK RYAN has been one of the most physically demanding jobs I’ve had. Another would be my work on a stage production of “The Iceman Cometh,” which I did with Nathan Lane and Brian Dennehy, and in which I played Willie Oban. In that show I had to shake violently from the DTs (the character was alcoholic) for the majority of the 5 hour show. JOHN: Wendell Pierce said to me last year, while we were hanging around waiting to shoot, “They pay us to wait, and we do the acting for free.” I love that for so many reasons, but the main reason is that, even with all the challenges that can come along with getting to do this kind of work, it is a gift and when you’re getting to do it, and I mean actually playing a scene, it’s a joy. JOHN: If you make the work about your partner, it’s typically more interesting to watch. Then do you have any other upcoming projects that you can share that fans should keep an eye out for? JOHN: There are a couple things in the hopper, but nothing I’m able to talk about just yet. 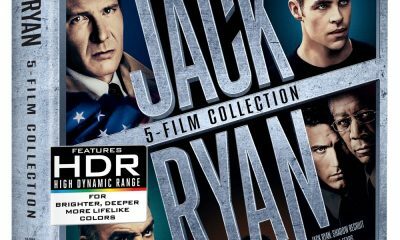 All episodes of JACK RYAN Season 1 is currently available to watch on Amazon Prime. For more information and sneak peeks from the show, you can follow the show on Twitter @JackRyanAmazon. Then to keep up with John’s career and adventures, you can follow him on Twitter @JohnHoogenakker. We look forward to seeing a lot more of John in JACK RYAN Season 2!